Alex Ross titled a post today Gubaidulina birthday miscellany. 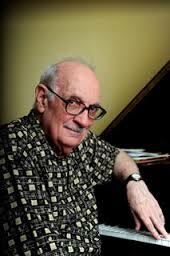 I would respectfully say that if I was titling that post I would have called it “George Crumb Birthday Miscellany”. George is 84 today. I hold no living composer’s music more dear than that of this quintessential American voice. Go here for George’s epic Star-Child; here for a chat between George Crumb and David Starobin.